Before they came to Almost Home, Marshawn and Marquan’s lives were unstable and unpredictable. Their mom lacked a support system, and she didn’t know how to provide for her sons. But she’s determined to create a better life. So every morning, this 19-year-old mother of two woke up at 4:15am so that she could get her sons ready and catch the 5am bus that got them to daycare and school on time. She made steady progress, and today she’s a high school graduate! She’s continuing to work towards a trade certification, and soon they will move into their first apartment. 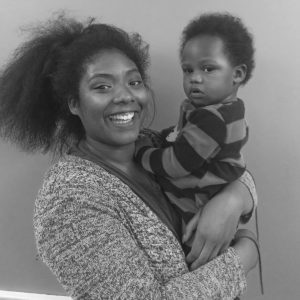 Marqetta’s dedication and perseverance has allowed her to provide stability and safety for Marshawn and Marquan!